Published: March 13, 2012 at 01:35 p.m.
Peyton Manning, who turns 36 later this month, has turned the ball over more frequently in recent seasons. Peyton Manning has been on the market for almost a week, and four teams are in hot pursuit of his services. Although I have the utmost respect for the future Hall of Famer, I would advise everyone to proceed with caution when making a serious run at Manning. To assess Manning's skill set before making a hefty financial and organizational commitment, teams should require Manning to go through an extensive workout in front of scouts and coaches. This would allow team officials to get a better feel for his progress in his rehabilitation program, while also providing enough visual evidence for evaluators to make comparisons to his previous performance on game tape. Although a veteran of Manning's ilk would typically balk at having to show his wares in a workout, the unique circumstances of his injury make it imperative to see him executing the basic fundamentals of his position on the field before agreeing to take him onboard. In looking at Manning's workout, evaluators will assess his arm strength and accuracy, while also monitoring the zip on his passes. Team officials should ask Manning to execute a series of throws following three-, five- and seven-step drops. In addition, Manning should throw following a series of run fakes designed to simulate some of the play-action passes that have been a hallmark of his game throughout his career. From film evaluation of the 2010 season, I would rate Manning's arm strength and ball velocity as above average, but not superior. He beats opponents with exceptional timing and anticipation rather than pure ball speed. Although Manning certainly doesn't toss floaters on the perimeter, he has to fully incorporate his lower body into his throws to generate zip. He throws the ball well to all areas of the field, but he is at his best when making throws inside the numbers. While he will make the occasional deep post-corner or comeback throw, the majority of his completions are generated on in-breaking routes like unders, hash-posts and 12-yard square-ins. Precise timing and anticipation can certainly mask physical limitations on those throws, so it is imperative for scouts to determine whether Manning has lost his fastball during the workout. 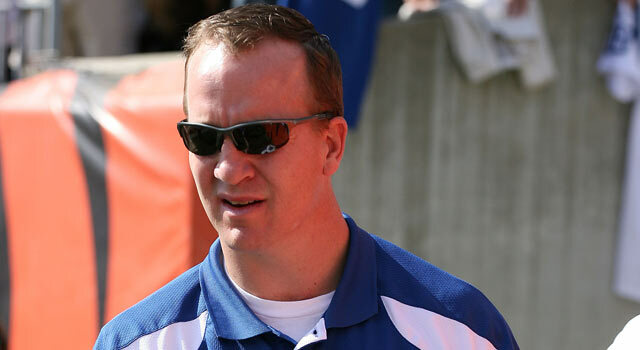 Manning turns 36 on March 24, and his advanced age should factor heavily into the decision to sign him as a franchise quarterback. He is nearing the end of a distinguished career and his game has started to show signs of decline. Manning enjoyed one of his best statistical seasons in 2010 with career-highs in passing yards (4,700) and pass attempts (679), but scouts should be concerned about his low numbers in two categories: yards per attempt average and passer rating. Manning only averaged 6.9 yards, his lowest total since his rookie season, failing to push the ball up the field consistently. Part of his declining production could be attributed to the lack of a running game, which led to more two-deep looks designed to keep balls from getting over the top, but extensive film study suggests he doesn't take as many shots down the field. If part of his decline can be pinned on his arm or neck woes, then red flags should go up immediately in front offices across the league. Manning's mediocre passer rating is also disconcerting because it indicates questionable decision-making and ball security. Manning's 17 interceptions in 2010 were the most since '02, and it is part of a trend that has seen his turnovers gradually increase over the past five seasons. While the crunching of the numbers should be placed in their proper context, the fact that he has seemingly taken a step backward while advancing in age would lead me to pause before proceeding with a comprehensive plan to sign him. That's not to suggest Manning isn't capable of putting together a few seasons of stellar play at an advanced age like his contemporaries Kurt Warner and Brett Favre, but the odds of the 14-year pro remaining at the top of his game are certainly not in his favor. For all of the admiration coaches, players and scouts have for Manning's physical skills, it has been his mastery of the mental part of the game that has been his most endearing trait. He skillfully orchestrated the Colts' offense for 13 seasons in an efficient and effective manner that has rarely been seen in the NFL. Part of his success can certainly be attributed to his high football IQ, but the comfort and consistency of playing within the same system for his entire career has allowed him to play freely at the position. Given his tremendous success as the conductor of that offense, it is safe to assume he would be reluctant to deviate from that scheme when he is at the helm. This will require any team interested in acquiring his services to adapt their game plan and playbook to suit his tastes. While that doesn't appear to be a major deal on the surface, the thought of completely overhauling an offensive philosophy has ramifications for everyone in the organization. From a coaching standpoint, the offensive coordinator must be willing to cede control of the offense to Manning. The coordinator must solicit Manning's input and work with him weekly to put together the basic tenets of the game plan. In addition, he has to be willing to allow Manning to control the game from the line of scrimmage. Given the fact that most offensive coordinators are control freaks by nature, the process of handing over the keys to the offense could be problematic for a coach with a huge ego. Tony Dungy and Tom Moore didn't seek the limelight for their offensive acumen, so the marriage in Indianapolis was a match made in heaven. With most offensive minds coveting attention for their schematic brilliance, there could be problems ahead for any team that takes on Manning. Another potential stumbling block for a Manning acquisition is the proper deployment of personnel. The Colts built their offense around the premise of allowing Manning to thrive, surrounding him with explosive weapons capable of producing big plays in the passing game. 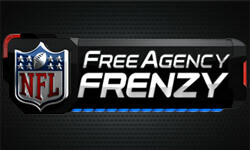 This might require the team to acquire a different style of receiver and tight end to fit Manning's preferred system. In looking at the characteristics of the Colts' offensive weapons when Manning was the starter, the receivers were skillful route runners with excellent running skills. The team placed a premium on acquiring receivers with superior speed and quickness over big, physical receivers adept at posting up smaller defenders. His tight ends were more H-backs than conventional in-line players, which led the team to sacrifice some blocking ability in favor of skilled route runners and pass catchers. The offensive line also featured athletic tackles best suited to pass protect rather than drive defenders off the ball in the running game. Teams typically invest heavily in their left tackle (the right-handed quarterback's blind side), but gamble on a run-game specialist on the right. With Manning in tow, the team will need to make sure both edges are protected by agility blockers with quick feet and fluid movement skills. Given the detailed requirements of Manning's supporting cast, any organization acquiring his services must show tremendous flexibility and adaptability in evaluating and procuring talent. It doesn't sound like a big deal, but changing a scouting philosophy for one player is a major move for any franchise.